ReactiveX is a combination of the best ideas from the Observer pattern, the Iterator pattern, and functional programming. RxAndroid is an extension to RxJava. 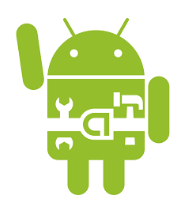 It providers a scheduler to run code in the main thread of Android. It also provides the ability to create a scheduler that runs on a Android handler class. With this schedulers, you can define an observable which does its work in a background thread, and post our results to the main thread. This allows for example to replace a AsyncTask implementations which RxJava. This entry was posted in Android and tagged android, retrofit, RxJava, testing, Unit by Cabezas. Bookmark the permalink.